Facility - Tropical Bottling Co. 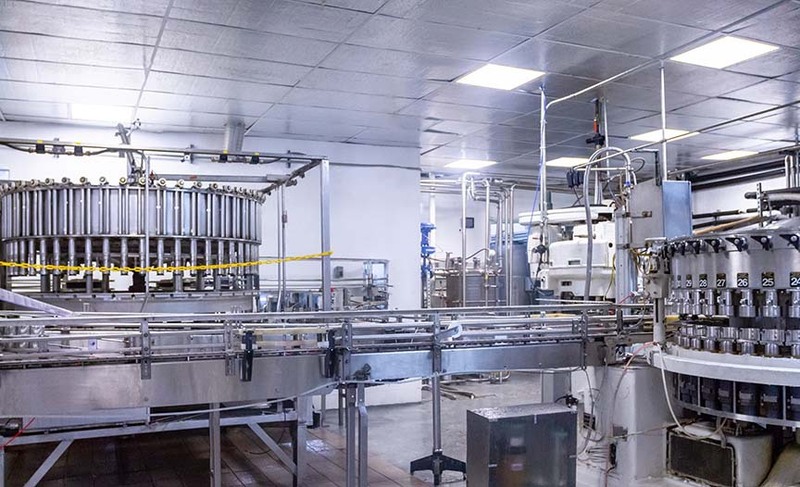 Tropical Bottling Company features a Florida Department of Agriculture and HACCP Certified facility. In addition, we are SQF Level II Certified, which means that our production process yields products that reflect top quality control standards. SQF Certification requirements provide a rigorous system to manage food safety risks and provide safe products for use by companies in the food industry, and Tropical Bottling Company proudly staffs HACCP certified personnel. Our facility can produce products using cold fill processes or through hot or cold fill pasteurization. We also feature reverse osmosis for superior filtered water in our products and have a warehouse that is available to clients for storage of their finished products. Better still, we offer labeling and palletizing services, so we can expertly finish your product and deliver it on custom pallets loaded to your exact specifications. Tropical Bottling Company can produce your beverage in our facility and store the product in our warehouse. When you are ready to distribute your product, we can load trailers or containers to help prepare them for shipment or export. For specific information on our facility’s capabilities, contact one of our friendly associates today!